What is Urinetown – The Musical? Don’t be put off by the title. It’s twisted, it’s dark, and it’s hilarious! Winner of three TONY Awards, Urinetown is a tale of greed, corruption, love, and revolution in a time when water is worth its weight in gold. A musical satire set in a fictional future where a terrible drought has crippled the city. Water is so scarce that the government enforces a ban on all private toilets in an effort to control water. The citizens must now use pay-per-use toilets owned and operated by a corrupt corporation. Those who try to dodge the fee risk being taken away to “Urinetown”, a mysterious place where many have been sent but no one ever returns. The oppressed masses rise up under the leadership of Bobby Strong, a hero who decides he’s had enough, and plans a revolution to lead them all to freedom! Will they win? 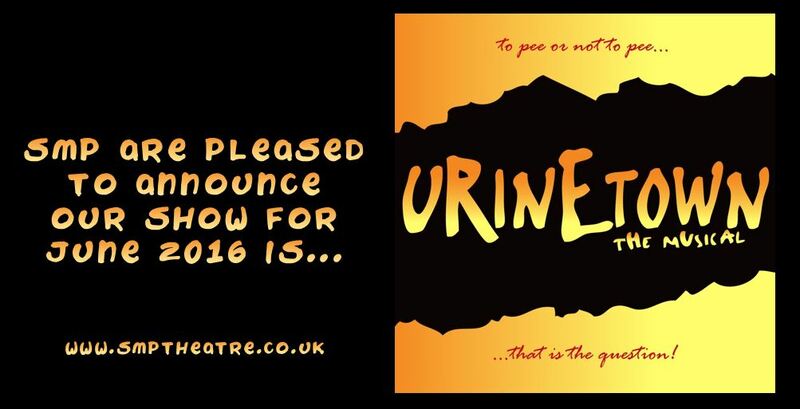 The only way to find out is to see Urinetown – The Musical. Urinetown started a trend of ironic, self-aware, breaking the fourth wall shows that spawned the likes of The Producers and Book of Mormon. Combining social themes that are relevant to today’s climates with an outrageous perspective, wickedly modern wit and the magic of musical theatre the show produces gales of unbridled laughter. Urinetown is unique, it’s everything a musical should be and somehow more. Its clever lyrics, brilliant script and captivating score were praised for reinvigorating the very notion of what a musical could be. It is hilariously funny and touchingly honest. Providing a fresh perspective on ‘the musical’ it parodies everything from the legal system, capitalism, social irresponsibility, populism, bureaucracy, corporate mismanagement, municipal politics, climate change to musical theatre itself!